This is a tale of the hurt that a junior investigator might feel when a senior investigator takes the lion’s share of the credit for the junior investigator’s crucial breakthroughs. Jonas Salk, who conceived and oversaw the development of the first widely used polio vaccine, is the senior investigator in this anecdote. Julius Youngner, the last surviving member of the original vaccine research team that Salk assembled in the early 1950s at the University of Pittsburgh, is the slighted assistant. Youngner later had his own distinguished career. He passed away in April of this year. Here is their story. After earning his Ph.D. in microbiology, Youngner was drafted into the World War II U.S. Army, which assigned him to the Manhattan Project, to test the toxicity of uranium salts. Youngner first learned the purpose of the Manhattan Project when the first atomic bomb was dropped on Japan. After the war, Youngner worked as a commissioned officer for the U.S. Public Health Service. This was a significant stop in his career, since it was there that he first became interested in viruses and cell culture. But, since there was no opportunity for him to pursue that interest in Bethesda, he began to look elsewhere. Thus, it happened in 1949 that Salk recruited Youngner to join his vaccine research team in Pittsburgh, after a mutual acquaintance told Salk that Youngner was eager to work on viruses and cell culture. Salk hoped that Youngner might find a way to generate enough cells from monkey kidney tissue to support mass-production of the vaccine. Youngner, on his own, then developed the use of the proteolytic enzyme, trypsin, to disperse tissue fragments into individual cells, thereby generating many more cells from a given amount of tissue. Indeed, Youngner could generate enough cells to support manufacture of the vaccine. This was his first key contribution to the vaccine project. “Trypsinization” remains a mainstay of modern cell culture. Some sources credit Youngner with having devised the process for inactivating the virus. But, that is correct in a very limited sense only. Salk selected incubation in formalin as the means to disable the virus. In truth, Salk learned of that approach a decade earlier while doing postgraduate studies under Thomas Francis at the University of Michigan. Francis was then using formaldehyde to produce his killed influenza vaccine (2). What’s more, Salk’s choice of formalin to generate his polio vaccine was bold. 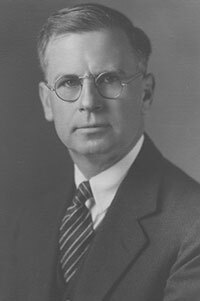 Earlier, in the 1930s, Canadian scientist Maurice Brodie tested a formalin-killed polio vaccine in twelve children, with disastrous results. Several of the children developed paralytic poliomyelitis (4). Clearly, too little exposure to formalin could leave enough live virus to cause paralytic poliomyelitis or death. On the other hand, too much exposure could so badly damage the virus’ proteins that they might no longer induce an immune response against the live virus. Brodie did not have analytical procedures to ensure that he had inactivated his vaccine to safe levels. In contrast, it was clear to Salk that getting the correct balance would be vital to his vaccine project, and Youngner’s color test was the means for doing so. Youngner used his test to determine that six days of incubation in a 1:4,000 formalin solution would result in one live virus particle in 100 million doses of the vaccine (5). Since Youngner’s inactivation curve was based on only a few data points, and since it was likely that the slope of the curve might flatten out after a time, Salk added a margin of safety of six extra days. Thus produced, the vaccine induced antibody production in monkeys, while showing no signs of causing paralysis or other problems. 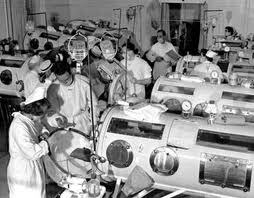 By 1954, 800,000 children had been successfully immunized against polio in the first clinical trial of the vaccine. In April 1955, the outcome of the trial would be announced to a very grateful public. By 1957, Salk’s vaccine team at Pittsburgh was no longer needed, and was dispersing. Salk was making plans to leave Pittsburgh for California, where he would found the prestigious Salk Institute. Youngner, now 34 years-old, remained at Pittsburgh, where he would begin his own distinguished career. Youngner was particularly appalled by events involving the paper he wrote describing his color test. “After I had what I considered to be a good draft…I gave my copy to Jonas for his comments. It should be noted this was 1954, the pre-Xerox, pre-word-processing era. I had made a working transcript of the paper for my own use and it was this copy that I handed to him. Also, it should be noted that the title page had the authors listed as ‘J.S. Youngner and E.N. Ward (6).’” Elsie Ward, who served as Youngner’s technician, was a zoologist who specialized in growing viruses. Salk intended to read Youngner’s manuscript while away on a trip. When Salk returned a week later, he claimed that he had lost the manuscript, but that he had jotted down some notes from which he was able to produce a draft of his own. Youngner was rather incredulous that a person as meticulous and disciplined as Salk could lose such an important manuscript. Youngner’s skepticism was further roused by the fact that Salk’s version contained all the data in Youngner’s original manuscript. Salk explained that incongruity, alleging that he found Youngner’s tables, but not the text. Youngner could grudgingly accept that project leaders often used their senior position to appear as co-authors, or even principal authors, on papers emanating from their labs, even if their contributions were minimal. What troubled Youngner in this instance was not that Salk pulled rank, but rather his seeming duplicity. Thomas Francis spoke first. Then, when Salk spoke, he acknowledged the more prominent players in the vaccine project, including Thomas Francis, Harry Weaver (director of research at the National Foundation), Tom Rivers (chairman of the advisory committees on research and vaccines for the National Foundation), and Basil O’Connor (law partner of Franklin Roosevelt, recruited by Roosevelt in 1928 to raise funds for polio patients at Roosevelt’s Warm Springs Foundation, and a co-founder with Roosevelt of the National Foundation in 1938; (2)). Salk then acknowledged various deans and trustees at the University of Pittsburgh. Yet, he made no mention whatsoever of his dedicated coworkers in his laboratory. They had been expecting at least some recognition from their boss. Some of Salk’s defenders argued that Salk had acted in the best scientific tradition by prefacing his printed remarks with the phrase, “From the Staff of the Virus Laboratory by Jonas E. Salk, M.D.” But, this was small consolation to Youngner and others of Salk’s coworkers, who expected to be individually acknowledged for their exhausting work on behalf of the life-saving vaccine. Indeed, they felt betrayed. 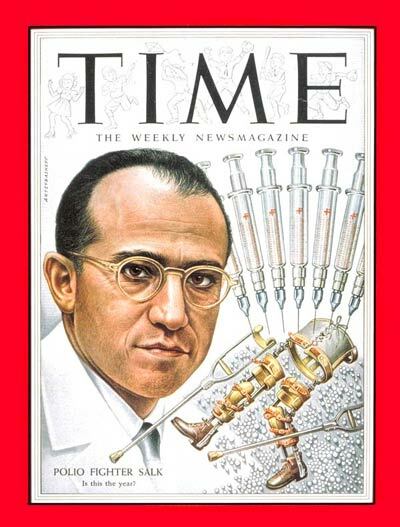 Jonas Salk is deservedly celebrated for developing the killed polio vaccine. That vaccine, together with Albert Sabin’s live attenuated vaccine, which followed soon afterwards, has nearly eradicated polio worldwide. Importantly, Sabin and other polio researchers believed that only a live vaccine could induce a level of immunity sufficient to protect against a challenge with live virulent virus. Nonetheless, Salk persevered in his conviction that a killed vaccine could protect against polio, and he was right. 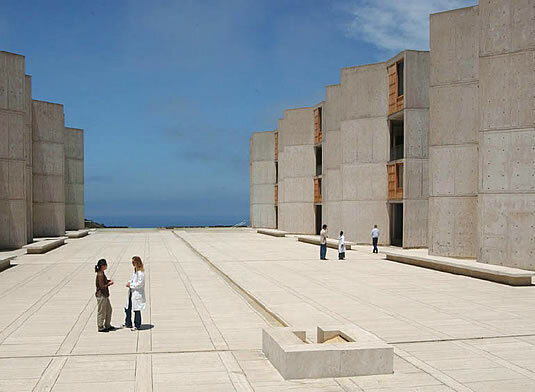 Salk founded the prestigious Salk Institute in 1963. Yet he never himself made another notable contribution to science. Youngner may be best known for his work on the Salk vaccine. Yet he had a distinguished career of his own at the University of Pittsburgh after Salk left. Youngner is especially noted for his contributions to interferon research. These include his finding that non-viral agents could trigger interferon induction in animals. And, in collaboration with colleague Samuel Salvin, he identified a second type of interferon, now known as gamma-interferon. Youngner also helped to explain the antiviral-effect of interferon, and he was the first researcher to demonstrate that some viruses express countermeasures against interferon. Youngner also made important findings in the area of persistent virus infections. Importantly, he demonstrated that defective viral variants, including temperature-sensitive mutants, can play a role in the establishment and maintenance of viral persistence; doing so by impairing (modulating) the replication of the wild-type parental viruses. Based on that principle, Youngner sought to develop dominant-negative mutants of influenza virus as a novel means of anti-influenza therapy. In addition, Youngner and colleague Patricia Dowling developed a novel live attenuated vaccine against equine influenza virus, based on a cold-adapted influenza virus, which can replicate only at the temperatures found in the respiratory tract. That live vaccine was the first to prevent a serious respiratory disease of horses. Salk, J.E., Youngner, J.S, Ward, E.N. (1954). Use of Color Change of Phenol Red as the Indicator in Titrating Poliomyelitis Virus or Its Antibody in a Tissue–Culture System,” American Journal of Epidemiology. 60: 214–230. Jonas Salk and Albert Sabin: One of the Great Rivalries of Medical Science, Posed on the blog March 27, 2014. John Enders: “The Father of Modern Vaccines,” Posted on the blog August 4, 2016. Vaccine Research using Children, Posted on the blog, July 7, 2016. Williams, G., Paralysed with Fear: The Story of Polio, Palgrave Macmillan, 2013. Oshinsky, D.M., Polio: An American Story, Oxford University Press, 2005. I am intrigued by the genealogies of our leading scientists, since their mentors too were often preeminent scientists. Earlier postings noted the example of Jonas Salk, who did postgraduate studies under Thomas Francis; one of the great pioneers of medical virology, perhaps best known for developing the first influenza vaccine (1, 2). James Watson, who did his doctoral studies in Salvatore Luria’s laboratory, and Renato Dulbecco, who trained under both Luria and Max Delbruck (3), are other examples. In fact, Watson and Dulbecco shared a lab bench in Luria’s lab. Howard Temin did his doctoral (and postdoctoral studies too) in Dulbecco’s lab (4). 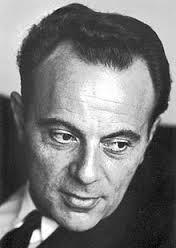 And Delbruck, who hugely influenced the new science of molecular biology, did his doctoral studies under Max Born, the 1954 Nobel Laureate in physics. Moreover, Delbruck later served as an assistant to Lisa Meitner (5). Important research paths were undertaken, and major contributions were made, which resulted from less formal interactions between budding young scientists and top scientists of the day. Howard Temin’s chance encounter with Harry Rubin, while on a mission to Dulbecco’s lab, is a case in point (4). Our last posting told how Louis Pasteur came within a whisker of adding the discovery of viruses to his list of extraordinary achievements (6). Robert Koch played a part in that story for developing his famous postulates, which provided the standard for demonstrating that a particular microbe causes a particular disease. Loeffler made another major discovery, fourteen years earlier, in 1884, when he used his mentor’s postulates to identify the bacterium that causes diphtheria, Corynebacterium diphtheriae. Importantly, Loeffler also discovered that when he injected C. diphtheriae into animals, the microbe did not need to spread to the tissues it damaged. This observation led Loeffler to propose the bacteria were secreting a poison or toxin that spread to the remote sites and caused disease there. Loeffler’s idea of a toxin was a new concept that subsequently was confirmed by Emile Roux, who had been Louis Pasteur’s assistant (6). Using bacterium-proof filters developed by Charles Chamberland in Pasteur’s lab, Roux showed that injecting animals with sterile filtrates of C. diphtheriae cultures caused death with a pathology characteristic of actual diphtheria. Roux was also a co-founder of the Pasteur Institute, where he was responsible for the production of diphtheria anti-toxin; the first effective diphtheria therapy. See Aside 1. So, Loeffler and Roux trained under Koch and Pasteur, respectively. But why might toxin production by C. diphtheriae interest virologists. Well, in 1951, Victor Freeman at the University of Washington showed that the lethal toxins produced by C. diphtheriae (and by Clostridium botulinum as well) are the products of lysogenic bacteriophage carried by the bacteria. This was shown by the finding that avirulent strains of these bacteria became virulent when infected with phages that could be induced from virulent strains. So, are diphtheria and botulism due to bacteria or to viruses? Our chain of genealogies continues with a selective history of lysogeny. Almost from the beginning of phage research (bacteriophage were discovered independently by Frederick Twort in Great Britain in 1915 and by Félix d’Hérelle in France in 1917), some seemingly normal bacterial cultures were observed to generate phage. Initially, this phenomenon was thought to be a sign of a smoldering, steady state kind of persistent phage infection. Then, during the 1920s and 1930s, the French bacteriologists, Eugene Wollman and his wife Elizabeth, working together on Bacillus megatherium at the Pasteur Institute, provided evidence that instead of a steady state infection, the phage actually enter into a latent form in their host cells; a form in which they might be harmlessly passed from one cell generation to the next. [Considering the state of knowledge back then, note the insightfulness of Eugene Wollman’s 1928 comment, “the two notions of heredity and infection which seemed so completely distinct and in some ways incompatible, . . . almost merge under certain conditions.”] See Aside 2. In the late 1930s, the Wollmans developed a close friendship with Andre Lwoff, their new colleague at the Pasteur Institute. The Wollmans introduced Lwoff to their ideas about lysogeny, but, as Lwoff confesses, he was not then impressed by bacteriophage (7). The Nazi occupation of Paris during the Second World War began in 1940. From then on, the Jewish Wollmans were prevented from publishing their research findings. Nevertheless, they continued their research at the Pasteur Institute until 1943, when they were seized by the Nazis and sent to Auschwitz. They never were heard from again. Their friend, Lwoff, grieved their loss and became active in the French resistance, gathering intelligence for the Allies, while also hiding downed American airmen in his apartment. After the war, Lwoff received several honors from the French government for his efforts against the Nazis. He also returned to his research at the Pasteur Institute, studying the genetics of Moraxella; a bacterial pathogen of the human respiratory tract. Because of his work as a microbial geneticist, he was invited to the 1946 Cold Spring Harbor Symposium, where he met Max Delbruck. And as happened to others, meeting Delbruck resulted in Lwoff being seduced by bacteriophage. Back in Paris, Lwoff’s passionate interest in phages was heightened further by discussions with Jacques Monod, a friend of Max Delbruck, and Lwoff’s neighbor in the attic of the Pasteur Institute. Although Monod was Lwoff’s junior colleague (in fact, it was Lwoff who first stirred Monod’s interest in microbiology), Lwoff’s conversations with the future Nobel Laureate resulted in Lwoff becoming intensely fascinated by lysogeny, which he began to study in 1949 (7). Because of Lwoff’s earlier friendship with the Wollmans, he chose to study a lysogenic strain of B. megatarium. And, making use of techniques he learned from Renato Dulbecco during a brief stint at Cal Tech, he was able to follow a single lysogenic bacterium, which enabled him to observe that a bacterium could go through multiple rounds of replication without liberating virus. What’s more, he discovered that the phages are released in a burst when the cell lyses, thereby dispelling the still current notion that phages are liberated continuously by lysogenic bacteria. Furthermore, Lwoff showed that lysogenic bacteria usually do not contain phage particles, since none are detected when the cells are experimentally lysed with lysozyme; confirming the earlier (1937) findings of the Wollmans. Lwoff went on to show that temperate phage genomes are maintained in a previously unknown integrated state in their host cell, and he gave the integrated phage genomes a name, “prophage.” He also discovered, unexpectedly, that irradiating lysogenic bacteria with ultraviolet light could induce the temperate phages to emerge from their latent state, and then replicate in, and lyse their host cells. And, he discovered that the phages lyse their host bacterial cells by producing enzymes that destroy bacterial cell walls. Lwoff’s elucidation of the fundamental nature of lysogeny in bacteria would later provide a paradigm for the DNA tumor viruses, the herpesviruses, the oncogenic retroviruses, and HIV. He was awarded a share of the 1965 Nobel Prize for physiology or medicine for his lysogeny research. He shared the award with his fellow Pasteur Institute scientists, François Jacob and Jacques Monod, who received their awards for their pioneering studies of gene regulation in E. Coli. A rather intriguing aspect of this story is that Lwoff was joined in his research on lysogeny at the Pasteur Institute by Elie Wollman; the son of Eugene and Elizabeth. Elie, born in 1917, escaped from the Nazis in Paris in 1940 and worked in the French resistance as a physician. In 1946, after the war, he came to the Pasteur Institute, where he took its microbiology course and then became Lwoff’s research assistant. Then, in 1947, Elie too happened to meet Max Delbruck (in Paris in this instance) and was invited to join the Cal Tech phage group, where he spent the next two years. See Aside 3. After Eli’s two-year stint with Delbruck in Pasadena, he returned to the Pasteur Institute. Meanwhile, Francois Jacob had come to the Institute in the hope of beginning a research career in genetics under the tutelage of either Lwoff or Monod. Before that, in 1940, Jacob, who also was Jewish, left medical school in occupied France to join Free French Forces in London. He then served as a medical officer in North Africa, where he was wounded, and was later severely wounded at Normandy in August 1944, ending his dream of becoming a surgeon. Initially, Jacob was spurned by both Lwoff and Monod, but was finally taken on by Lwoff, who suggested that he, Jacob, start work on “the induction of the prophage.” Jacob confesses he had no idea what that meant, but he accepted the project. Thus it came to pass that Francois Jacob and Elie Wollman established a particularly close and friendly collaboration, in which they turned their attention to the lambda prophage of E. coli. Their initial goal was to clarify the events of bacterial conjugation so that they might then understand the phenomenon whereby a temperate phage carried by a lysogenic bacterium is activated to undergo vegetative replication when that bacterium conjugates with, and transfers its integrated phage genome to a non-lysogenic bacterium. Importantly, Wollman and Jacob’s study of the activation of a lambda prophage when it enters a non-lysogenic F-minus recipient (a phenomenon they called “zygotic induction”), showed that the temperate state of the lambda prophage is maintained by some regulatory factor present in the cytoplasm of a lysogenic bacterium, but which is absent from a non-lysogenic one. It led to the discovery of a “genetic switch” that regulates the activation of the lysogenic bacteriophage, and of a phage-encoded repressor that controls the switch. These findings are among the first examples of gene regulation, and are credited with generating concepts such as the repressor/operator, which were firmed up by Jacob and Monod in their Nobel Prize-winning studies of the E. coli lac operon. See Aside 4. Wollman and Jacob also determined that the E. coli chromosome is actually a closed circle. The background was as follows. Only one F factor is integrated into the chromosome of each Hfr strain, and that integration occurs at random. And, since the integrated F factor is the origin of the gene transfer process from the Hfr cell to the F-minus cell, interrupted mating experiments with different Hfr strains gave rise to maps with different times of entry for each gene. However, when these time-of-entry maps were taken together, their overlapping regions gave rise to a consistent circular map. The discovery of the circular E. coli chromosome was most intriguing, because all previously known genetic maps were linear. See Aside 5. [Aside 5: The bacterial strain used by Wollman and Jacob in their study of zygotic induction was, in fact, the original laboratory strain of E. coli (i.e. E. coli K12) that was isolated in1922 from a patient with an intestinal disorder. In 1951, Esther Lederberg discovered that K12 is lysogenic. The discovery happened when she accidentally isolated non-lysogenic or “cured” derivatives of E. coli K12 that could be infected by samples of culture fluid from the parental K12 strain, which sporadically produced low levels of phage. Esther gave the lysogenic phage its name, lambda. Esther was the wife of Joshua Lederberg, who received a Nobel Prize in 1958 for discovering sexual conjugation in bacteria, and the genetic recombination that might then ensue. Prior to Lederberg’s discoveries, genetic exchange and recombination were not believed to occur in bacteria. Lederberg’s Nobel award was shared with George Beadle and Edward Tatum (the latter was Lederberg’s postdoctoral mentor) for their work in genetics. In 1954 Elie Wollman was appointed a laboratory head in his own right at the Pasteur Institute. He retired from research in 1966 to become vice-director of the Institute, which he then rescued from a severe financial crisis. He continued to serve in that role for the next 20 years, while garnering numerous prestigious awards for his research and service. Francois Jacob earned his doctorate in 1954 for his lysogeny studies. 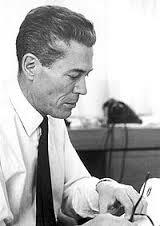 Then, realizing that he and Jacques Monod, his senior neighbor in the Pasteur Institute attic, were actually studying the same phenomenon, gene repression, he entered into a hugely productive collaboration with Monod that led to the elucidation of the genetic switch that regulates beta-galactosidase synthesis in E. coli (9). Their collaboration established the concepts of regulator genes, operons, and messenger RNA, for which they shared in the 1965 Nobel Prize for physiology or medicine, as noted above. See Asides 6 and 7. [Aside 6: One of Jacob and Monod’s first experiments was the famous 1957 PaJaMa experiment, carried out in collaboration with Arthur Pardee, who was then on sabbatical at the Pasteur Institute. In brief (for aficionados), a Lac-positive, Hfr strain was grown in an inducer-free media, and then mated, still in an inducer-free media, with a Lac-minus, F-minus strain. (Note that the deletion in the Lac-minus, F-minus strain included the LacI gene, which encodes the yet to be discovered lac repressor.) As expected, in the absence of inducer, no beta-galactosidase is detected initially. But, after the donor DNA sequence, which bears the normal Lac genes (including LacI), is transferred to the Lac-minus recipient, it initially finds no repressor in the recipient cell and begins to synthesize beta-galactosidase. Then, as the donor cell’s lac repressor gene begins to be expressed in the recipient cell, in the inducer-free media, expression of the donor cell’s beta-galactosidase gene ceases. The PaJaMa experiment thus showed that the genetic regulation of enzymatic induction depends on a previously unknown regulatory molecule, the repressor. Incidentally, during the Nazi occupation of Paris, Monod too was active in the French Resistance, eventually becoming chief of staff of the French Forces of the Interior. In that capacity, he helped to prepare for the Allied landings in Normandy. Monod and Jacob each received France’s highest honors for their wartime service.See Aside 7. (1) Jonas Salk and Albert Sabin: One of the Great Rivalries of Medical Science, Posted on the blog March 27, 2014. (2) Ernest Goodpasture and the Egg in the Flu Vaccine, Posted on the blog November 25, 2014. (3) Renato Dulbecco and the Beginnings of Quantitative Animal Virology, Posted on the blog, December 4, 2013. (5) Max Delbruck, Lisa Meitner, Niels Bohr, and the Nazis, Posted on the blog November 12, 2013. (6) Louis Pasteur: One Step Away from Discovering Viruses, Posted on the blog January 7, 2015. (7) Lwoff, Andre, The Prophage and I, pp. 88-99, in Phage and the Origins of Molecular Biology, J. Cairns, G.S. Stent, and J.D. Watson eds., Cold Spring Harbor Laboratory Press, 1966. (8) Wollman, Elie L, Bacterial Conjugation, pp. 216-225, in Phage and the Origins of Molecular Biology, J. Cairns, G.S. Stent, and J.D. Watson eds., Cold Spring Harbor Laboratory Press, 1966. (9) “The Phage in the Letter,” Posted on the blog November 4, 2013. (9) Francois Jacob, Nobel Lecture, December 11, 1965. 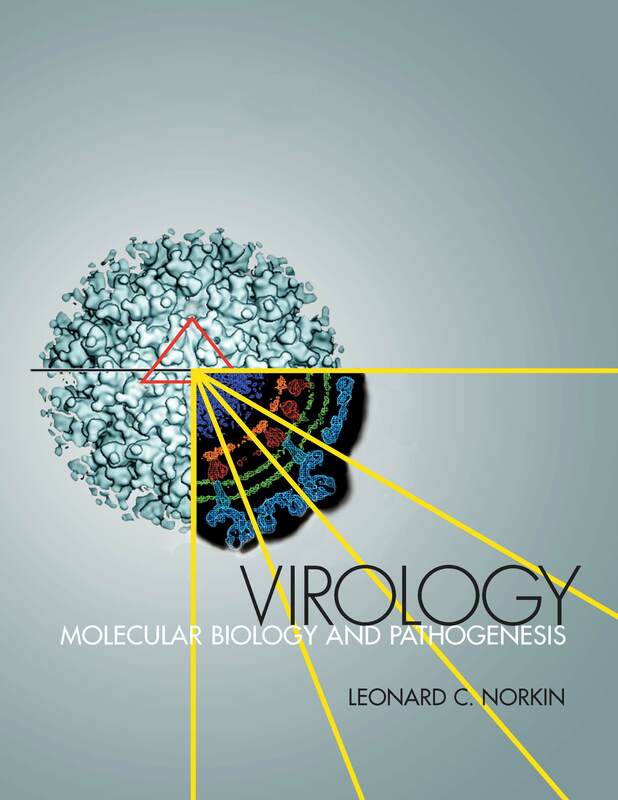 (11) Norkin, Leonard C., Virology: Molecular Biology and Pathogenesis, ASM Press, 2010. Our last posting told how the flu vaccine came to be produced in chicken eggs (1). In short, in 1931, at a time when virologists were still searching for fruitful means to cultivate viruses outside of a live laboratory animal, Ernest Goodpasture and Alice Woodruff developed a procedure to grow fowlpox virus in fertile (embryonated) chicken eggs. Soon afterwards, their egg-based virus cultivation method was applied to generate vaccines against smallpox and yellow fever. Then, in 1941, Thomas Francis used fertile chicken eggs to produce the first influenza vaccine. Remarkably, even today, in the era of recombinant DNA and proteomics, this seemingly quaint procedure is still the preferred means for producing the standard trivalent flu vaccine. Yet, this tried and true method is not without its pitfalls. Circumstances involving the egg-based method led to a severe flu vaccine shortage in the United States during the winter of 2004/2005. American officials were initially alerted to the coming shortfall in early October 2004, when the Chiron Corporation of Emoryville, CA, announced that its influenza vaccine, which was manufactured in its factory in Liverpool, U.K., would not be available in the United States for the approaching 2004/2005 influenza season. British regulators suspended Chiron’s license for three months because its Liverpool factory had not used appropriate vaccine production procedures, resulting in some of its 50,000,000 vaccine doses being contaminated with Serratia marcescens; a bacterium that can be dangerous, especially if injected into a frail or elderly person. Before the crisis at Chiron, the United States was expecting to obtain about one-half of its 100,000,000 doses of influenza vaccine from that company, with the rest coming from the Pennsylvania plant of the French company, Aventis Pasteur. Thus, the projected supply of vaccine in the United States would be reduced by about half. As the shortfall materialized, federal and state health officials tried to distribute the limited number of vaccine doses to individuals most at risk, such as the elderly and those with compromised immune systems. Nevertheless, there were incidents in which crowds of elderly and infirm people waited for hours at clinics and health centers for the vaccine, only to learn that there was none to be had. One New York City clinic actually called in the police to stop a riot by mostly elderly people. Even the Memorial Sloan-Kettering Cancer Center, which is one America’s leading cancer facilities, with many desperately ill and elderly patients, did not have flu vaccine. And thousands of callers to New York City’s flu line, or to 911, could not get through or were told that the vaccine was in extremely short supply. In Connecticut, there were reports of vaccine sellers engaging in price gouging. What happened at Chiron was as follows. The company bought its aging Liverpool factory in 2003 because it saw a good business opportunity when two American vaccine producers announced they were dropping out of the vaccine business. But signs that there might be trouble at Chiron’s Liverpool operation surfaced in June 2003, when an inspection by the U.S. Food and Drug Administration (FDA) discovered bacterial contamination in early production stages of the 2003/2004 vaccine, although not in the final product after sterilization. The FDA was satisfied with Chiron’s efforts to solve the problem and, believing that the trouble had been resolved, it let the Liverpool plant continue to operate. Then, in August 2004, with production of the 2004/2005 flu vaccine underway, the company announced that its own routine testing revealed bacterial contamination in actual lots of the vaccine. Chiron attempted to get to the bottom of the issue, while keeping the FDA abreast of its progress via weekly conference calls. Chiron then assured the FDA that the contamination was limited only to the first lots of the vaccine and that it expected to begin shipping to the USA within a month’s time. However, the final blow to Chiron’s efforts came on October 5, when British regulators visited the factory and determined that it was not operating according to regulations that assure good manufacturing practice. The British suspended Chiron’s license and announced that Chiron’s flu vaccine was contaminated with Serratia marcescens. Chiron’s California headquarters received news of the debacle at 3 a.m. the next morning and immediately called American officials in Washington, who were stunned by the news. Why was it not possible to rectify the situation in time for the 2004/2005 winter flu season? First, each year’s supply of the egg-based flu vaccine is mass-produced in millions of hen’s eggs. In fact, Chiron used 100,000 eggs per day at the peak of production. Moreover, these eggs have to be ordered months in advance. Thus, it is virtually impossible to suddenly come up with a fresh supply if something should go awry. Additionally, because influenza virus strains undergo antigenic changes from one year to the next, the vaccine needs to be reformulated each and every year. Consequently, and importantly, unlike vaccines against other viruses, the flu vaccine cannot be stockpiled for use in later years. Any doses left over from any year necessarily go to waste. Because of the above, and because demand for the flu vaccine varies somewhat unpredictably from year to year, manufacturing the flu vaccine poses particular economic risks to producers. Indeed, a spokesperson for Wyeth said that his company terminated production of its FluShield vaccine in 2002 because it was able to sell only half of the 20 million doses that it manufactured every year, forcing it to throw out the remaining 10 million doses. And, the company would have been required to make a huge investment to upgrade its facilities to meet new federal regulations. Since Wyeth expected little if any profits from manufacturing its flu vaccine, it chose to give up that undertaking. A spokesman for the FDA responded to Wyeth’s dilemma, saying that if companies could not measure up to its standards, or chose not to, it might be better for them to pull out of the vaccine business. While the FDA’s position seems somewhat unsympathetic to the concerns of the manufacturer, it remains the case that safety must not be compromised. On the other hand, a main factor that led to the vaccine shortfall of 2004/2005 was that the United States had put all its eggs in only two metaphorical baskets; Chiron and Aventis Pasteur. If there had been more vaccine producers, then the vaccine supply would not have been as susceptible to disruption when one producer could not meet demand. Some public health experts claimed that government policies actually discouraged companies from developing and producing vaccines. They argued that low profits to vaccine producers, and their exposure to legal liabilities, brought on a situation in which there were literally only a handful of companies engaged in vaccine production. A 2004 report the by the U.S. National Academy of Sciences noted that as recently as the 1970s, twenty-five companies made vaccines for the United States, whereas in 2004 there were only five. Another factor leading to the crisis of 2004 was that Chiron, and other U.S. vaccine manufacturers, began to move their operations to lower-cost locations overseas, in order to maintain a profit margin. This made it considerably more difficult for the FDA to carry out rigorous inspections of facilities. As noted above, the FDA relied on assurances from Chiron that it was adequately addressing safety issues at its Liverpool plant. But, it was the first-hand inspection by British regulators that later caught Chiron. Some public health experts called for the government to step in and play a significantly greater role in ensuring vaccine production, rather than relying on the pharmaceutical companies and the free market. Suggestions included having the government subsidize vaccine manufacturers, or guarantee to purchase a fixed number of vaccine doses, irrespective of whether they are used, and perhaps put in place a policy that might protect vaccine producers from legal liability if they have fulfilled all of the accepted standards for vaccine testing and production. In an earlier posting, I discussed the factors that might influence public response to particular virus outbreaks and epidemics (2). It is interesting to consider the course of public reaction to the 2004 flu vaccine shortage from that perspective. At first, when there were insufficient doses of the flu vaccine to go around, there was widespread panic, even rioting. Then, as a relatively few extra units of vaccine began to trickle in from other sources, demand for the vaccine dramatically decreased. Indeed, there actually was a surplus! Whereas only two companies made flu vaccines for the U.S. market in 2004, now there are seven. In addition, more varieties of flu vaccine are now available; special formulations for the elderly, for people allergic to eggs, vaccines that protect against four strains of flu instead of three, and a vaccine administered as a nasal spray. Nonetheless, all of these options are still produced in chicken eggs. However, some companies are now turning to other technologies. For instance, Novartis’ Flucelvax is produced in cultured dog cells. Importantly, Novartis’ methodology is supposed to enable the company to respond to an emerging pandemic in weeks, rather than months. 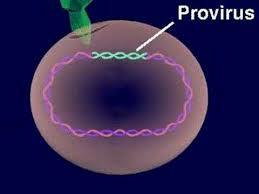 Other companies are exploring using genetic material. Yet, most of the U.S. flu vaccine supply is still grown in chicken eggs, and much of that is made in other countries, leaving the FDA with less control over quality and supply. 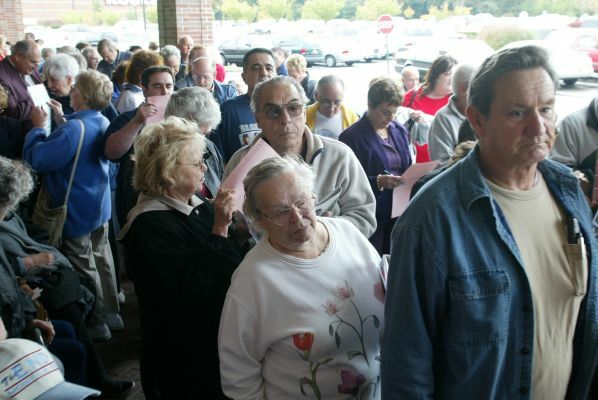 For a time in 2009 it appeared that demand for flu vaccine would once again vastly exceed supply. In that instance, increased demand was triggered by fears of an impending swine flu pandemic, which ultimately proved to be much less severe than originally feared. Reminiscent of the recent 24-hour cable news coverage of the 2014 West African Ebola outbreak (2), nonstop TV updates of new swine flu cases in 2009 created the false impression that a killer pandemic was sweeping through the country. 1. Ernest Goodpasture and the Egg in the Flu Vaccine, posted on the blog November 25, 2014. Paralytic poliomyelitis was one of the world’s most feared diseases during the first half of the 20th century. However, the dread of poliovirus ended abruptly with the advent of the poliovirus vaccines in the 1950s. This posting tells the stories of the key players in the race to develop a polio vaccine. In particular, it features the rivalry between Jonas Salk and Albert Sabin, the two main contenders in the pursuit. While their vaccines together have led to the near disappearance of poliovirus worldwide, neither was recognized by the Nobel committee for his achievement. We begin with some background. Poliovirus has long been especially interesting to me, both as a virologist and personally as well. The reason is that I was a child and young teenager during the annual polio epidemics of the 1940s and early 1950s, and can vividly remember the panic that set in early every summer of the pre-vaccine days, when the first neighbor or schoolmate was stricken. You were kept home from school and couldn’t even play outside. A visit to a hospital in those times was associated with the pitiful sight of young polio victims in the iron lungs that filled the wards, and even the hallways of hospitals back then. Not even the emergence of AIDS in the early 1980s evoked fear comparable to that brought on by poliomyelitis. Yet despite the dread of poliomyelitis, the disease actually struck many fewer victims than was commonly perceived by the public. The number of poliomyelitis cases in the United States was typically 20,000 to 30,000 per year in the 1940s and 1950s, while influenza still typically kills 40,000 to 50,000 Americans annually. Yet most individuals, then and now seem indifferent to influenza. What’s more, even the 1918 “Spanish Flu” epidemic, which was arguably the most devastating epidemic in human history, did not cause any panic, despite the fact that during the single month of October 1918, it killed 196,000 people in the United States alone! Estimates of the total number killed worldwide by the 1918 Spanish Flu range between 20 million and 50 million. So, how can we explain the terror brought on by poliomyelitis? It wasn’t simply because poliovirus struck suddenly, without any warning. So did the “Spanish Flu.” Rather, paralytic poliomyelitis mainly struck children, adolescents and young adults. In contrast, influenza mainly threatens the elderly. And, in truth, most parents are far more emotionally invested in their children’s well-being than in that of their parents or themselves. Furthermore, the sight of a child in an iron lung or leg braces (affected legs became atrophied and deformed) was truly heart rending. The fear evoked by poliomyelitis was permanently ended in the United States and in much of the developed world as well, by the emergence of Salk’s killed polio vaccine in 1955. Sabin’s live attenuated vaccine followed soon after. [Live vaccines generally contain attenuated (weakened) variants of the virulent virus, which can replicate and induce immunity, but which cannot cause disease.] The response of the public to Salk’s vaccine was so great that he was hailed as a “miracle worker.” Nevertheless, and despite the fact that the vaccines created by Salk and Sabin have nearly ridden the world of poliovirus, neither man would ever be recognized by the Nobel committee. Salk’s public acclaim was resented by his colleagues. Most virologists of the day strongly favored live vaccines over killed ones, based on the belief that only a live vaccine could induce a level of immunity sufficient to protect against a challenge with live virulent virus. Indeed, the effectiveness of live vaccines had been established much earlier by Jenner’s smallpox vaccine (1798) and Pasteur’s rabies vaccine (1885). Jenner’s smallpox vaccine actually contained live cowpox virus, which was similar enough immunologically to variola to protect against smallpox, while not being able to cause smallpox itself. Pasteur’s rabies vaccine contained live rabies virus that was attenuated by passages through rabbit spinal cords. [Adapting the virus to grow in rabbits attenuated its virulence in humans, while not impairing its ability to induce immunity.] So, bearing in mind the well-established precedence of attenuated vaccines, why did Salk seek to develop a killed vaccine? In 1941, Thomas Francis, one of the great pioneers of medical virology, working at the University of Michigan, developed a killed influenza vaccine. Providentially, in the same year, Jonas Salk (recently graduated from NYU medical school) came to Francis’ laboratory for postgraduate studies. In Francis’ lab, Salk learned his mentor’s methods for producing his killed influenza vaccine and assisted in its field trials. Salk’s experience in Francis’ laboratory led him to believe in the potential of a killed poliovirus vaccine. And, Salk learned practical procedures from Francis that would be valuable in his pursuit of that objective. These included the use of formaldehyde to kill the virus, the use of adjuvants to enhance the immunogenicity of the killed vaccine, and protocols for conducting field tests. In contrast to Salk, Sabin firmly believed that a live attenuated vaccine would be vastly superior to a killed one. And, although Salk won the race to produce an actual vaccine, Sabin had been doing polio research well before the younger Salk emerged on the scene. Indeed, Sabin made several important contributions to the field; some of which are discussed below. For now, we mention that in 1936, Sabin and colleague Peter Olitsky demonstrated that poliovirus could be grown in cultured human embryonic nervous tissue. While this might appear to be a key step towards the development of a vaccine, Sabin and Olitsky feared that nervous tissue might cause encephalitis (inflammation of the brain and spinal cord) when injected into humans. 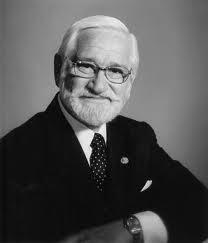 Albert Sabin, who developed the live polio vaccine. John Enders, at the Children’s Hospital of Boston, is the next key player in our story. Enders believed that poliovirus should be able to grow in non-nervous tissue, particularly tissue from the alimentary canal, as suggested to him by the amount of the virus that was present in the feces of many patients. So, in 1948, Enders, and colleagues Thomas Weller and Frederick Robbins, succeeded in growing poliovirus in cultured non-nervous tissue, including skin, muscle, and kidney. As a result of Ender’s work, sufficient amounts of poliovirus could now be grown, free from the hazards of nervous tissue, thereby enabling the mass production of a vaccine. The next key player of note in our story is not a person but, rather, a foundation; the “National Foundation for Infantile Paralysis,” which led and financed the crusade against polio in the pre-NIH days of the 1950s. The National Foundation was actually an outgrowth of the Georgia Warm Springs Foundation, a charitable organization founded by Franklin D. Roosevelt, himself crippled by polio. However, after Roosevelt became president of the United States, he was too polarizing a figure (particularly after his “court-packing” scheme in 1937) to head up a philanthropic organization. Consequently, in 1938, Roosevelt announced the formation of the nonpartisan National Foundation for Infantile Paralysis. 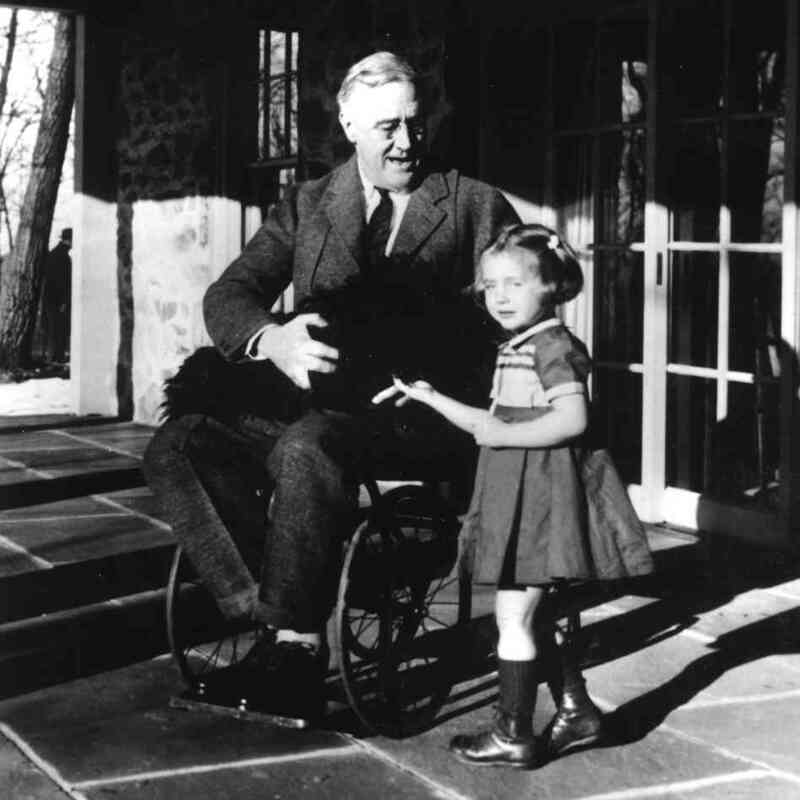 Photos of Franklin Roosevelt in a wheel chair are rare and were not shown to the public, which was generally unaware that he was paralyzed from the waist down. [Aside: The National Foundation was initially funded by the contributions of wealthy celebrities who attended Roosevelt’s yearly birthday bashes. At one of these fundraisers, the vaudevillian, Eddie Cantor, jokingly urged the pubic to send dimes directly to the president. And, bearing in mind the fear evoked by polio, the public, perhaps not recognizing the joke, did exactly that, flooding the White House with nearly three million dimes. And so, the slogan “March of Dimes,” for the Foundation’s grass-roots fund-raising campaign, came to be. And, it was not coincidental that a dime (the Roosevelt dime) was issued in 1946 to memorialize the late president. The role of the National Foundation went beyond merely raising money for research. It also attempted to provide direction to the research, which often placed it at odds with its grantees. This was the case because Harry Weaver, the director of research at the National Foundation, was focused on bringing a vaccine to the public. In contrast, most of the Foundation’s grantees were largely motivated by their desire to understand basic virological issues, such as poliovirus transmission, replication, and dissemination. What’s more, they believed that there was still too much to be known about poliovirus and poliomyelitis before a vaccine might be a realistic possibility. Sabin’s objection to the Foundation’s priority of having a vaccine available as quickly as possible was somewhat more personal. Since a killed vaccine should be more straightforward and, therefore, quicker to develop than an attenuated one (see below), Sabin believed that Weaver’s sense of the urgent need for a vaccine would lead him to favor supporting Salk’s killed vaccine over his attenuated one. Moreover, Sabin felt that he was being shunted aside. And, Since Sabin remained firm in his belief in the superiority of a live vaccine; he also felt that Weaver’s main concern of having a vaccine available as quickly as possible, would compromise the efficacy of the vaccine that would be implemented in the end. Sabin’s worry that a killed vaccine would be faster to develop than an attenuated one was borne out when, in1953, Salk was preparing to carry out a field-test of his killed vaccine. Yet Sabin and other poliovirus researchers remained inclined to move slowly, placing them in opposition to Harry Weaver’s sense of urgency. Moreover, Sabin and the other polio investigators were also piqued at the National Foundation for promoting Salk’s vaccine to the public and, also, for promoting Salk himself as a miracle worker. The Foundation’s reason for publicizing Salk was to stir up public enthusiasm for its fund raising campaigns. And Salk indeed was becoming the symbol of the miracles of medical research to an admiring public. While Sabin’s advice to Salk seems eminently sensible, Sabin had never before shown any inclination to look out for Salk’s interests. So, might Sabin be sending a non-too-subtle warning to Salk that he could either play by the traditions of the scientific community, or face the consequences of playing to the interests of the Foundation? For his part, Salk was well aware of what was happening and he was indeed embarrassed by the adulation of the press; correctly sensing that it was compromising his standing with his colleagues. While Salk’s answer to Murrow endeared him even more to the public, some colleagues questioned whether it might have been disingenuous. Both the University of Pittsburgh, where Salk carried out his work, and the National Foundation, which financed it, indeed had been looking into the possibility of patenting Salk’s vaccine. But, when patent attorneys sought to determine if there was a basis for a patent, Salk readily acknowledged that his vaccine was, for the most part, based on tried and true procedures developed by others. In point of fact, Salk’s critics held him in low esteem largely because there was little about his vaccine that was innovative. Indeed, Sabin once quipped: “You could go into the kitchen and do what he (Salk) did.” But in fairness to Salk, he never claimed that his vaccine was unique. Instead, in the face of much skepticism, his point had always been that a killed vaccine could protect against polio. He persevered and he was right. By 1954, field tests of Salk’s vaccine went ahead on a massive scale, involving nearly 1.5 million schoolchildren nationwide. The tests were overseen by Thomas Rivers, an eminent virologist who, at the time, was Director of the Rockefeller Institute. Like most virologists, Rivers favored a live vaccine as the ultimate solution to polio. Nevertheless, he believed that the world couldn’t wait ten or more years for an ideal vaccine, when a satisfactory one might be available at present. All did not go well for Salk and his vaccine after the successful 1954 field tests. In April 1955, more than 200,000 children were inoculated with a stock of improperly inactivated vaccine made by Cutter Laboratories; one of the five companies that produced the vaccine in 1955. [The others were Eli Lilly, Parke-Davis, Wyeth, and Pitman-Moore.] The Cutter vaccine caused 40,000 cases of abortive poliomyelitis (a form of the disease that does not involve the central nervous system), and 56 cases of paralytic poliomyelitis; 5 of which were fatal. What’s more, some of the children inoculated with the Cutter vaccine transmitted the vaccine virus to others, resulting in 113 more cases of paralytic poliomyelitis and 5 fatalities. Salk was exonerated of any fault in the Cutter incident. Moreover, after that episode, not a single case of polio in the United States would be attributed to Salk’s vaccine. Nevertheless, while Salk’s killed vaccine was perfectly safe when properly prepared, the Cutter incident led to the perception that it was unsafe. Consequently, Salk’s killed vaccine was eventually replaced by Sabin’s live attenuated one. Ironically, as we will see, the perception that Salk’s vaccine was dangerous led to its replacement by a more dangerous one. Sabin’s work on his live polio vaccine began in 1951 and, like Salk; he was supported by the National Foundation. Sabin’s task was more difficult than Salk’s because it is more straightforward to kill poliovirus, than it is to attenuate it. [The attenuated virus must be able to replicate in the digestive tract and induce immunity, yet be unable to damage the nervous system.] But Sabin persisted, sustained by his conviction that a live vaccine would invoke stronger, longer-lasting immunity than a killed vaccine. Sabin attenuated his vaccine by successive passages through monkey tissue, until the live virus could no longer cause paralysis when inoculated directly into chimpanzee spinal cords. In 1954, a successful small-scale test of Sabin’s vaccine was carried out, which involved thirty adult human prisoners at a federal detention facility. The promising outcome of this test warranted a larger field-trial of Sabin’s vaccine. But, several obstacles stood in the way. First, the National Foundation was not inclined to support another massive field trial, now that Salk’s vaccine was already in use. Second, the Foundation was still reeling from the Cutter incident, and had no inclination to be caught up in another such debacle. Third, it would be virtually impossible to conduct the trials in the United States, since millions of American children had already been inoculated with Salk’s vaccine. The ensuing course of events was rather remarkable. By 1956, poliomyelitis had become a serious public health crisis in the former Soviet Union. Consequently, a delegation of Russian scientists came to the United States to meet with Salk and consult with him on how to produce his vaccine. However, the Russians were disposed to meet with other polio researchers as well. Thus, Sabin seized this opportunity to invite the Russians to visit his laboratory at the University of Cincinnati, where he was able to tout his live vaccine to them. Sabin’s pitch was apparently effective, as he secured an invitation from the Russians to visit the Soviet Union, where he spent a month, further hyping his vaccine. With the incidence of poliomyelitis on the rise in the Soviet Union, the Soviet Health Ministry needed to quickly decide which vaccine to adopt; Salk’s or Sabin’s. The Russians were already producing the Salk vaccine, but were unable to consistently maintain its efficacy from one batch to another. So, the Soviets invited Salk to visit Russia, so that he might help them to solve the problems they were having producing his vaccine. Salk then made a decision that he would long regret. Because of pressure from his wife to spend more time with his family, Salk turned down the Russian invitation. The upshot was that the Russians turned instead to Sabin. In 1959 they vaccinated 10 million children with vaccine strains sent to them by Sabin. Soviet results with the Sabin vaccine were so promising that the Soviet Health Ministry decided to then use it to vaccinate everyone under 20 years of age. A total of seventy-seven million Soviet citizens were vaccinated with Sabin’s vaccine, vastly exceeding the number vaccinated during field trials of the Salk vaccine in the United States. The U.S. Public Health Service did not endorse the Sabin vaccine for use in the United States until 1961. By then, the Salk vaccine had virtually eliminated polio from the country. Nevertheless, Sabin’s vaccine supplanted Salk’s in the United States and in much of the rest of the world as well. In actual fact, the few cases of poliomyelitis that now occur in the West are vaccine-related, resulting from the rare reversions of Sabin’s vaccine. Ironically, the Sabin vaccine, which played a crucial role in the near eradication of polio from the world, had become an obstacle to the complete eradication of the virus. In 2000, the U.S. Centers for Disease Control (CDC) recommended the complete return to the Salk vaccine in the United States. However, the Sabin vaccine would continue to be used in much of the developing world. [Aside: Several polio hotspots remain in the world. Three major ones are Pakistan, Afghanistan, and Nigeria. Recent outbreaks have also occurred in Syria and Somalia. In each of these instances, social and political climates make it difficult to carry out eradication campaigns. As recently as March 2014, militants attacked a polio vaccination team in northwest Pakistan, detonating a roadside bomb and then opening fire on their convoy, killing 12 of their security team, and wounding dozens more. Some Pakistani religious leaders denounced the vaccination campaign in Pakistan as a cover for spying or as a plot to sterilize Muslim children. We turn now to an issue raised at the outset of this posting; neither Salk nor Sabin was recognized by the Nobel Committee for his contribution. That is so, despite the fact that their individual efforts, taken together, have virtually eliminated polio from the world. Max Theiler, at the Rockefeller Institute, is relevant regarding the Nobel issue, and for several other reasons as well. First, Theiler took an early interest in Sabin’s career during Sabin’s years at the Rockefeller (1935 to 1939). Second, during those years Theiler was working on a live attenuated vaccine for yellow fever. Like most virologists of the day, Theiler believed that only a live vaccine could provoke significant long-lasting immunity. And, Theiler’s thinking on this matter likely influenced Sabin’s later approach to a polio vaccine. Thirdly, and important in the current context, in 1951 Theiler was awarded the Nobel Prize in Physiology or Medicine for his yellow fever vaccine. Fourth, Theiler’s Nobel Prize was the only one ever awarded for the development of a virus vaccine! Why was Theiler’s Nobel award the only one ever given for the development of a virus vaccine? In addition, recall that John Enders, Thomas Weller, and Frederick Robbins shared the 1954 Nobel Prize for Physiology or Medicine, for demonstrating that poliovirus could be propagated in non-nervous tissue. Moreover, the Nobel Prize shared by Enders, Weller, and Robbins was the only one ever given in recognition of polio research! Why weren’t Salk and Sabin recognized as well? Didn’t they also contribute substantially “to the benefit of mankind;” a standard for the award, as specified by Alfred Nobel? Apropos these questions, it may be relevant that Alfred Nobel also specified that the prize for physiology or medicine should recognize a “discovery” per se. With that criterion in mind, the Nobel committee may have viewed the contributions of Salk and Sabin as derivative, requiring no additional discovery. In contrast, the discovery of Enders, Weller, and Robbins, refuted the previously held belief that poliovirus could be grown only in nervous tissue; a breakthrough that paved the way to the vaccines. But then, what was there about Theiler’s yellow fever vaccine that might be considered a discovery? Hadn’t Pasteur developed an attenuated Rabies vaccine in 1885? And, what of Jenner’s earlier 1798 smallpox vaccine, comprised of live cowpox virus? The seemingly trivial distinction between the worthiness of Theiler’s contribution from that of Salk and Sabin, suggests that we may need to look elsewhere for answers to why Salk and Sabin were bypassed by the Nobel committee. One reason suggested in the case of Salk is that in the elitist world of big-time science, he had never spent time at a prestigious Research institution like the Rockefeller. Yet he did carry out postgraduate studies in association with the eminent Thomas Francis. So perhaps he was passed over by the Nobel committee because it did not see anything innovative about his vaccine. Or, perhaps it was because he allowed himself to be promoted as a celebrity by the March of Dimes, thereby causing resentment among his colleagues. But, how then might we explain the case of Sabin? Sabin had not been used by the National Foundation to promote its fund-raising. And, he had done research at the Rockefeller Institute. Moreover, Sabin made seminal contributions to the poliovirus field before and after beginning his vaccine work. As noted above, Sabin and Peter Olitsky demonstrated that poliovirus could be grown in cultured human embryonic nervous tissue. Moreover, Sabin provided experimental evidence that the poliovirus port of entry is the digestive tract, rather than the respiratory tract, as was previously thought. And, Sabin established that the incidence of poliomyelitis tended to be highest in urban populations which had the highest standards of sanitation. [Aside: Why was the incidence of poliomyelitis highest in urban populations that had the highest standards of hygiene? Polio infection tends to be milder in the very young, perhaps because they are partially protected by maternal antibodies. But, in areas with high standards of hygiene, infection tends to occur later in life, when maternal antibodies have waned, and the infection can then be more severe. Were Sabin’s discoveries noted above, taken together with his vaccine, worthy of a Nobel Prize? In any case, Sabin indeed had been nominated for the Nobel award by numerous colleagues, including Enders. So, why was Sabin never awarded the Nobel Prize? Perhaps the Nobel committee could not recognize Sabin without also recognizing Salk, which it may have been reluctant to do for reasons noted above. Or, as has been suggested, the continual back-and-forth carping between supporters of Salk and Sabin may ultimately have diminished enthusiasm in Stockholm for both of them. Salk (in 1956) and Sabin (in 1965) each received the prestigious Lasker Award for Clinical Research (often seen as a prelude to the Nobel) and, earlier, in 1951, Sabin was elected to the U.S. National Academy of Sciences. In contrast, Salk was the only prominent polio researcher not elected to the Academy. And regarding the Nobel Prize, Salk once joked that he didn’t need it, since most people thought he had already won it. In 1963 Salk founded the prestigious Salk Institute for Biological Studies in La Jolla, California. Francis Crick (1), Renato Dulbecco (2), and Leo Szilard (3), each of whom is featured elsewhere on the blog, were among the eminent scientists recruited by Salk to the La Jolla campus. Bearing in mind Salk’s alienation from other medical researchers of the day, we might enjoy his remark “I couldn’t possibly have become a member of this institute if I hadn’t founded it myself.” Jonas Salk died of congestive heart failure in 1995 at the age of 80. He remains one of the most venerated medical scientists ever. [Aside: Salk married Dora Lindsay in 1939, right after he graduated from NYU medical school. But, the marriage eventually fell apart, and the couple divorced in 1968. In 1970, Salk married the artist Francois Gilot, who had been the mistress of Pablo Picasso for nearly ten years and with whom she had two children. Salk and Gilot met in 1969, at the home of a mutual friend in Los Angeles. They remained married until Salk’s death in 1995. The following is from an April 27, 2012 article in Vogue by Dodie Kazanjian, entitled Life after Picasso: Francois Gilot. Albert Sabin became president of the prestigious Weizmann Institute of Science in Israel, but stepped down in November 1972 for health reasons. He passed away in 1993 at the age of 86. Unlike in the case of Salk, and despite the fact that he never was awarded the Nobel Prize, Sabin’s standing among his colleagues always remained high. Before concluding, we note two other important contenders in the quest for a polio vaccine. The first of these was Isabel Morgan, the daughter of the great geneticist, Thomas Hunt Morgan. Isabel Morgan nearly produced a killed polio vaccine before Salk succeeded in doing so. Working at Johns Hopkins, she generated formalin-inactivated poliovirus preparations that indeed protected monkeys against intracerebral injections of live poliovirus. However, Morgan gave up her research in 1949 to marry and raise a family. At that time, Salk had barely begun his work. But, if Morgan had remained in the race, Salk may yet have beaten her to the finish line, since she was reluctant to test her vaccine on human subjects. Hilary Koprowski was the other noteworthy contender in the race to a polio vaccine. Koprowski was a Polish Jew who immigrated to Brazil in 1939, after Germany invaded Poland. He later came to the United States, where, in 1945, he was hired by Lederle Laboratories to work on a project to develop a live polio vaccine. Koprowski’s foray into polio had a few interesting happenings. Moreover, he went on to have a renowned career as a virologist. Thus, we discuss him in a bit more detail. Koprowski began his work at Lederle before John Enders developed methods for growing poliovirus in monkey kidney cell cultures. Consequently, Koprowski attenuated his live vaccine by passaging it in mouse brains in vivo. In 1950, several years before Sabin’s vaccine was ready for testing, Koprowski found that his vaccine indeed protected chimpanzees from challenge with virulent poliovirus. Koprowski then tested his live vaccine in humans; first on himself, and then on 19 children at a New York State home for “feeble minded” children. Human testing was of course a necessary step in the development of this or any human vaccine. What’s more, using cognitively disabled children as test subjects was a common practice back then. So, the actual concern of Koprowski’s colleagues was that he inoculated human subjects with a vaccine that was grown in animal brains. Koprowski also may have been treading on shaky legal ground, since it is not clear whether he ever obtained consent from the children’s parents. Irrespective of whatever uproar Koprowski caused by testing his vaccine on helpless institutionalized children, he indeed had a live polio vaccine in 1949; several years before Salk and Sabin brought out their vaccines. However, Koprowski’s vaccine began its demise soon afterwards. A small field trial in Belfast showed that the attenuated virus could revert to a virulent form after inoculation into humans. But, bearing in mind that there was not yet any alternative to his vaccine, Koprowski firmly believed that the greater risks of natural poliovirus infections justified its use. The fate of Koprowski’s vaccine was sealed in 1960, when the U.S. Surgeon General approved the Sabin vaccine for trial manufacture in the United States, while rejecting Koprowski’s vaccine on safety grounds. Tests showed that Sabin’s vaccine was the less neurovirulent of the two vaccines in monkeys. Sabin had carefully tested plaque-isolated clones of his attenuated viral populations for neurovirulence in monkeys, and he then assembled his vaccine from the least neurovirulent of these clones. Moreover, by this time millions of children in the Soviet Union had had been successfully immunized with the Sabin vaccine. Koprowski left Lederle Laboratories in 1957 after clashing with its management. After that, he became Director of the Wister Institute in Philadelphia. He then transformed the then moribund Wistar into a first class research organization. The relationship between Koprowski and Sabin was quite adversarial at the time their vaccines were in competition, but they later became friends. In 1976, Koprowski was elected to the U.S. National Academy of Sciences, an honor shared with Sabin, bit never afforded to Salk. Here is one last bit on Koprowski. Recall that early lots of the Salk and the Sabin vaccines unknowingly contained live SV40, which had been injected into hundreds millions of people worldwide. While the unknown presence of a live tumor virus in a vaccine must be one of a vaccinologist’s worst nightmares, this finding did not attract the attention of the public. In contrast, a 1992 article in Rolling Stone, which attributed the emergence of HIV to Koprowski’s polio vaccine, created a sensation. The premise of the article was that Koprowski’s vaccine was produced in chimpanzee cells that were contaminated with simian immunodeficiency virus (SIV), which then mutated into HIV when inoculated into humans. As might be expected, there was no evidence to support that premise. Indeed, PCR analysis could not detect SIV or HIV in the supposedly contaminated vaccine lots, and records from Koprowski’s laboratory showed that his vaccine was never grown in chimpanzee cells. So, faced with the possibility of a lawsuit, Rolling Stone issued a retraction. Readers, who enjoyed the above account of the rivalry between Jonas Salk and Albert Sabin, may also enjoy the account of the rivalry between Robert Gallo and Luc Montagnier in Who Discovered HIV? More on the same topic can be found in How the Human Immunodeficiency Virus (HIV) Got its Name. For a very different kind of rivalry, that between Howard Temin and David Baltimore, see Howard Temin: In From the Cold. 1. Howard Temin: “In from the Cold” On the blog. 2. Renato Dulbecco and the Beginnings of Quantitative Animal Virology On the blog. 3. Max Delbruck, Lisa Meitner, Niels Bohr, and the Nazis On the blog.